For the bulk of us, who weren’t weaned on Crass in our baby carriage nor wearing Ramones onesies at the time, Killing Joke first showed its head with the track “Eighties” from arguably its most accessible LP, Night Time. The track shows up at the most pivotal part of one of the most fun films of the 1980s, Weird Science, when a biker gang lead by Vernon Wells (who basically plays the same character in The Road Warrior) threatens to ruin Wyatt’s party. “Eighties” is blasting as the rager hits its chaotic apex, with broken glass and mom’s lamps and china flying everywhere. It wasn’t actually the John Hughes film that originally put Killing Joke on the map, though. Prior to that, the band was making massive waves in its native UK with its distinctly gothic take on punk. 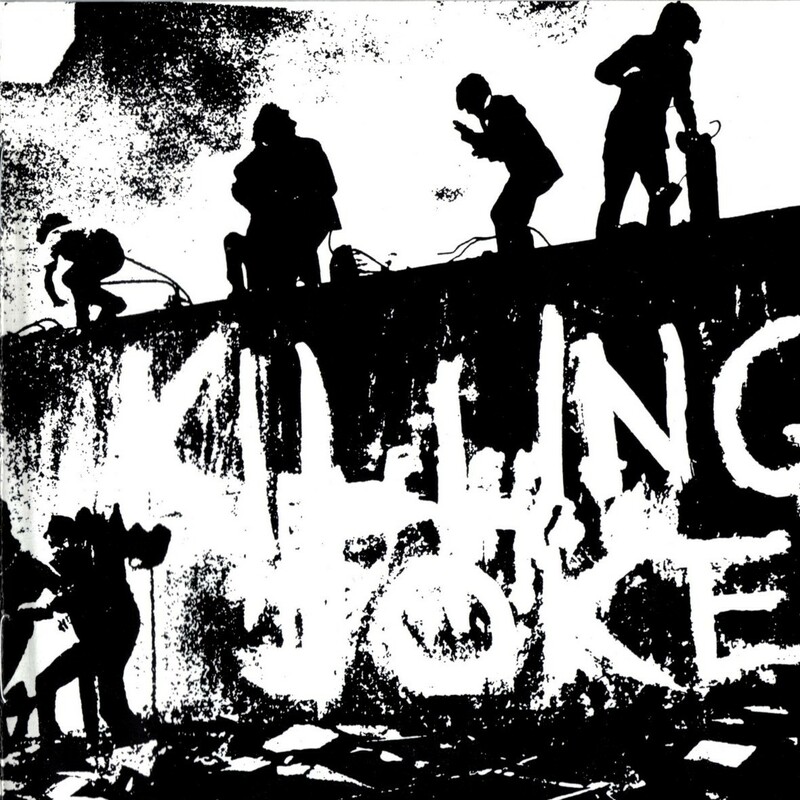 It all started when Killing Joke’s self-titled LP arrived in 1980, which charted in the UK Top 40 and eventually became known the world over as a classic. 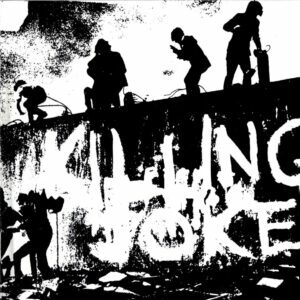 Killing Joke was both completely unique and totally distinguishable from the pack, mixing punk, funk and dub reggae. 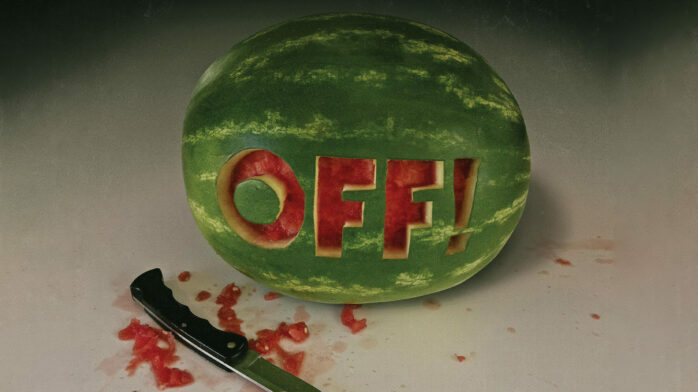 This resulted in an aggressive-yet-danceable form of music that touched on industrial and metal in ways that never overcommitted to anything. The separation of the treble-heavy guitar juxtaposed against the danceable rhythm section created a very stark contrast from the bulk of punk music, which saw a legion of kids sawing away at barre chords (and still does). While Gang of Four’s production went in a similar direction less than a year prior, Killing Joke’s was far more sinister, volatile and punk. It’s the self-titled LP and its follow-ups, What’s THIS For…!, and Revelations, which helped lay the foundation for the heavy influence that would follow. The production and overall feel was more gothic, and mixed with the staccato rhythms it created an industrial undercurrent, influencing bands as varied as Nitzer Ebb, Skinny Puppy, Helmet… even Metallica (who covered “The Wait” in 1987 for the landmark $5.98 EP: Garage Days Re-Revisited). Meanwhile, this darkly punk goth approach also influenced bands ranging from Clan of Xymox to the Cure, the latter of which directly used the gothic punk of Killing Joke – along with Bauhaus, Joy Division, and the Damned – to create their early record label imprint. Revelations, in particular, is considered more of a goth entry than a punk one, and one of Killing Joke’s greatest achievements. And while its influence on the bands that followed cannot be overstated, Killing Joke was also a source of inspiration to its peers, such as Sisters of Mercy, whose approach to gothic music was much in the same vein (but heavier on synths). Killing Joke’s guitars were always a bit smarter than your average punk rock record’s, and along with the gothic production and the punk urgency, it eventually appealed to metal fans as well. The meeting of these genres was a key element which debatably gave birth to the new genre of industrial metal, which caught fire with bands like Godflesh, Nine Inch Nails, Ministry, Rammstein, KMFDM, and many others. Those staccato rhythms and heavy guitars were an essential part to the puzzle, with later bands adding in drum machines, synths, samples and more to make the music their own. Key records that helped change the face of pop and rock music all leaned heavily into the world of Killing Joke; albums like Godflesh’s debut Streetcleaner, Ministry’s The Mind is a Terrible Thing to Taste, and Nine Inch Nails epic The Downward Spiral clearly had a domino effect on later artists like Marilyn Manson, Fear Factory, and Rob Zombie. Killing Joke had effectively taken metal away from the heshers and revamped it for the goth audience. 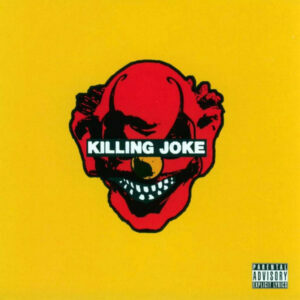 Killing Joke’s influence on the goth, punk, and metal scenes shouldn’t be disputed nor overvalued, however one key item remains debatable to this day: Did Kurt Cobain steal a riff from Killing Joke for “Come As You Are?” The suddenly-huge band’s label, DGC, followed up breakthrough single “Smells like Teen Spirit?” with the track, and the parallels between the two riffs are uncanny, down to the heavy use of flanger on the instrument (Nirvana’s version is a bit slower, is all) . According to the 2000 book Eyewitness Nirvana: The Day-By-Day Chronicle, Kurt Cobain was not only aware, but was concerned with the song’s similarities… especially when it came to release the song as a single. “Kurt was nervous about ‘Come as You Are’ because it was too similar to a Killing Joke song,” admits then-manager Danny Goldberg. “We all thought it was still the better song to go with. And, he was right, Killing Joke later did complain about it.” In the end, no lawsuit was filed. Regardless of whether Nirvana lifted said riff for the massive single, drummer Dave Grohl is still an undisputed fan of the band, even stepping in to play on arguably one of their best releases, also a self-titled LP, in 2003. Seen by many as not only a comeback LP but also possibly as one of Killing Joke’s greatest ever, Grohl played drums on all tracks and refused to take a fee for his time on the record (possibly as payment for use of the riff?). The combination of Grohl and Andy Gill (from Gang of Four) on production resulted in a reset button on what the legendary crew was capable of, and shot the legendary group back into the public eye. 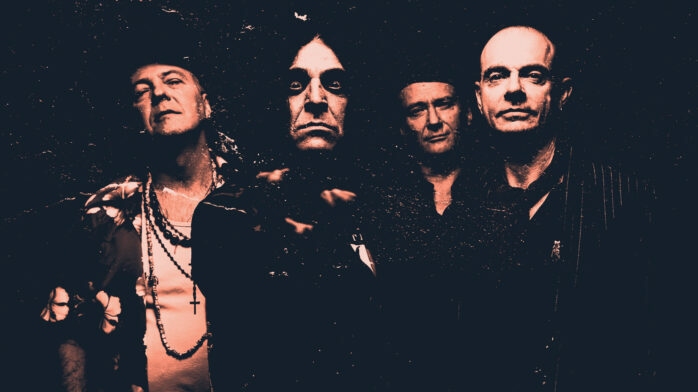 Between Killing Joke, its output and swagger, and the ripples in the water caused by its massive approach, there is no disputing the band’s influence on the landscape of pop music. 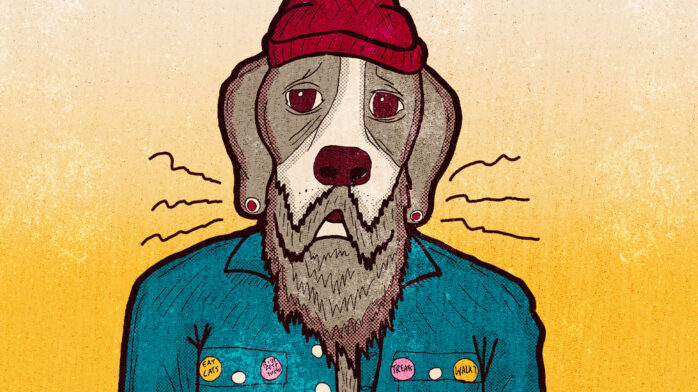 Key figures like Trent Reznor, Justin Broadrick, and Robert Smith may not have left their indelible marks upon culture were it not for Jaz Coleman, Geordie Walker, and Paul Ferguson. 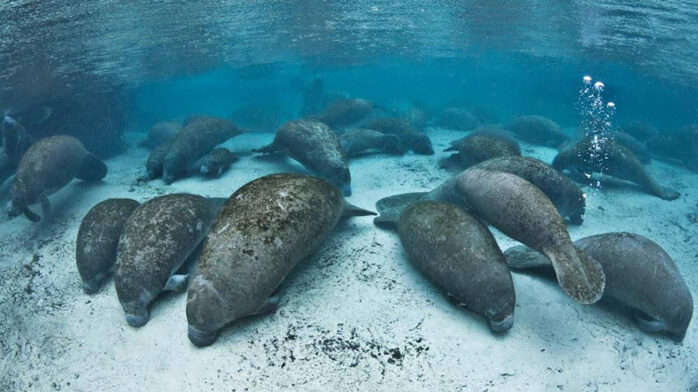 They had to push, they had to struggle, and we’re all better for it.